How can I remove it without destroying detail? Additionally, I have decided to alloy sterling using yellow/cartridge brass (70Cu30Zn) and from what I can tell it seems only a smidgen softer than standard sterling and very ductile. It also seems to firescale less but isn’t immune to it, does that sound right? There are many posts on this subject in the archives that offer advice, and here are a few thoughts from myself. I have done, and have a good general understanding, but probably am not the best person to try to spell it all out in its technical glory! what causes the firescale and firestain? how do you avoid firescale and fire stain? how to control heat/ temp from torch onto metal? what are the best products to prevent firescale and firestain? 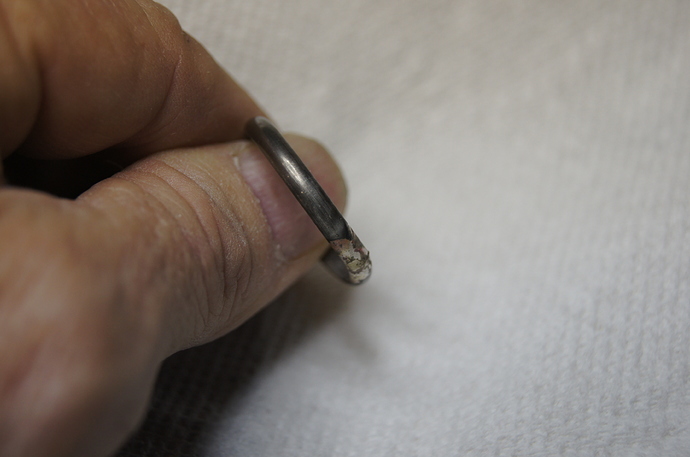 what are the best soldering/ annealing/ heating blocks/ materials/ surfaces to help prevent firescale and firestain? why and how do these products work? how do you best use these products? Julie has just provided above a good list of firestain questions to start with, all of which have been answered extensively in the archives. After digesting all that has been written already, you will undoubtedly be in a position to ask some really good new questions…:-)…! Get yourself a big bottle of Cupronil and a we small spray bottle.Warm the metal and keep it hot as you spray a nice white even coat. I have been using it for 20 yrs. and no firestain. Of course there is nothing you can use if you overheat the piece to stop it. I have searched the archives and found information on fluxes and alloys, I was wondering what people’s opinions are today. Actually I stumbled across a post of yours wondering about s88 and s57na from united precious metals. I too have been considering (quite seriously) s88. How did you find that alloy, no firestain? Worked the same as sterling? Decently hard? If not, have you used fluxes such as cuprinil, how effective is it? You can of course narrow the search to get answers to your particular questions. PS If the links don’t work for you, just do the search. PPS By the way you’ll find hundreds of entries just on Cupronil (if you spell it correctly…). 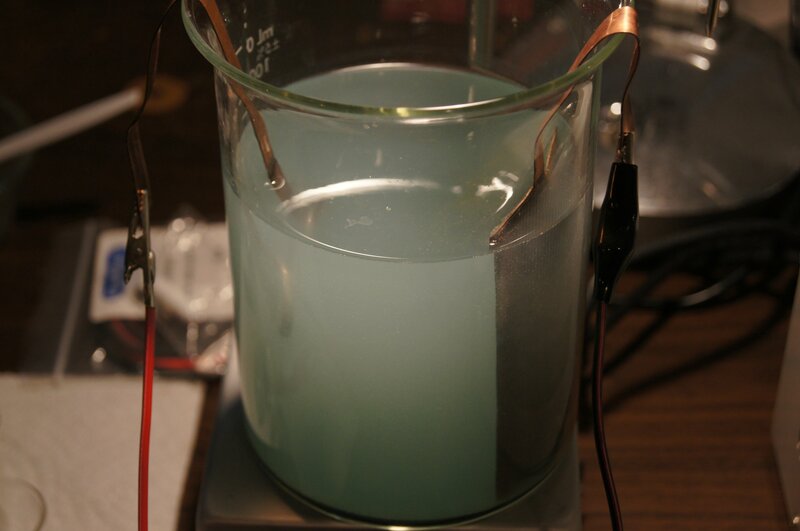 From searching the archives, it seems that by using prips flus and not overheating my sterling firestain can be pretty much eliminated? Or must I use an alloy such as argentium, continuum or s88 to prevent such firestain? Here is a copy/paste of a reply post by Peter Rowe. probably something at the molecular level. subject of Prips flux (sometimes misspelled Pripps). just as you’re getting to a final polish. you don’t fully understand how this happens. it out. This is the layer that gives you the fire stain problem. with the un oxidized sterling silver below it. 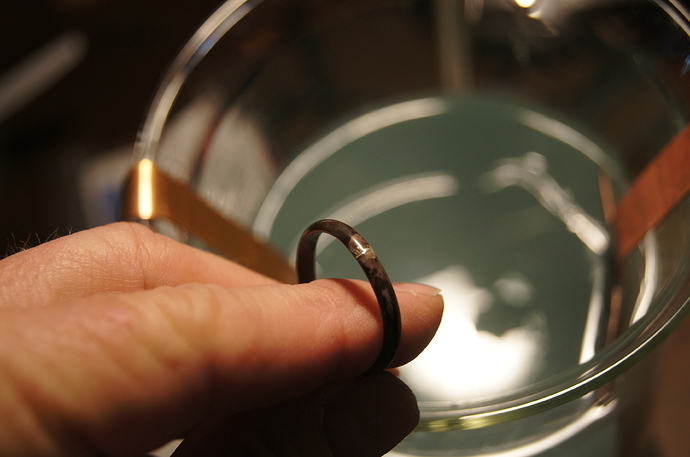 problem anyway, since simple pickling gets you back to clean metal. similarly acting fluxes, do not do this. one of the newer fire stain free casting silver alloys. I use propane flame. 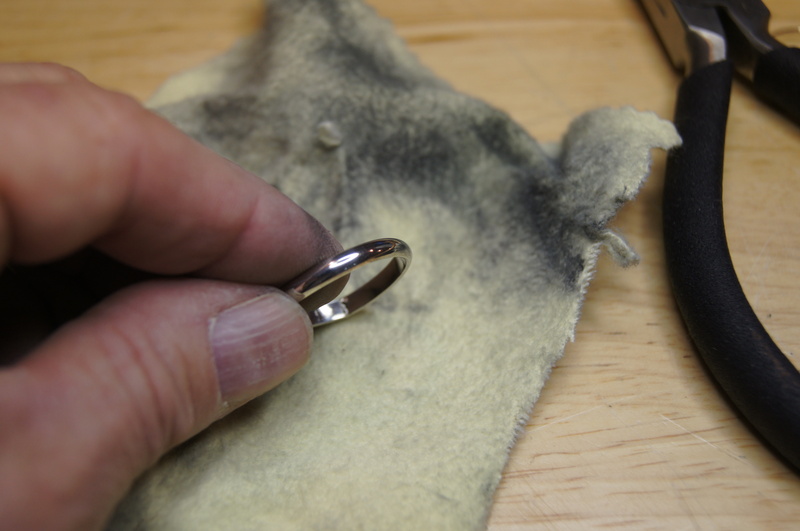 But cover the holes of the burner with a movable ring. This makes the flame oxigen-poor. Very little problem with firestone this way. Another thing is never quench your piece in pickle. That makes the problem worse. It etches the copper out of the surface of the metal and leaves a layer of fine silver, but creates more firestone underneath. Always quench in water first. Another thing is never quench your piece in pickle. That makes the problem worse. It …creates more firestone underneath. Quenching in pickle creates neither fire stain nor fire scale. I always quench in pickle and have neither. 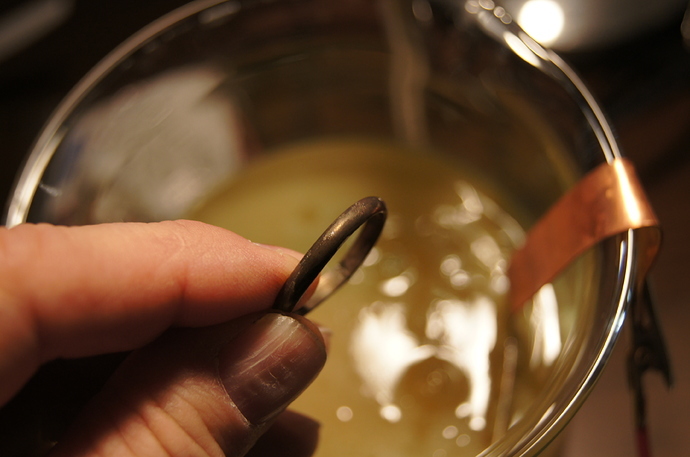 Perhaps it should be stated not to put silver into a pickle with steel of iron tongs. 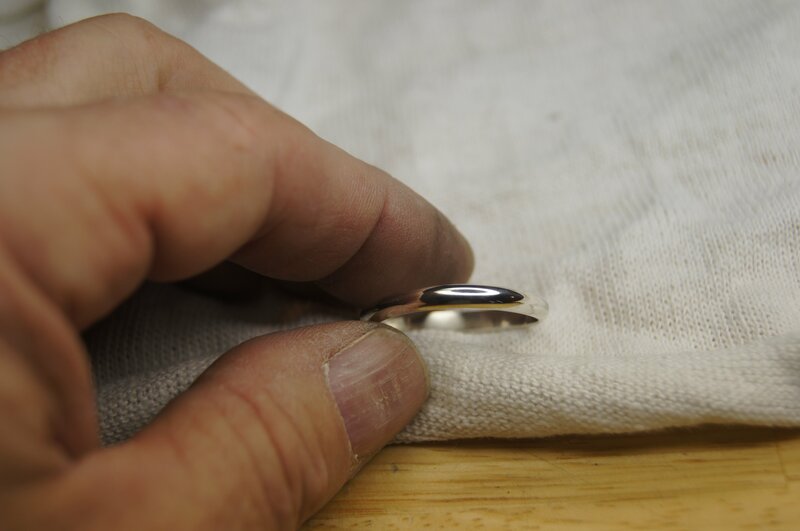 There is some alchemy that goes on between the silver and the iron and the pickle that creates scale of one type or another. A nightmare to clean off, maybe not a nightmare but certainly more work than you need to do. 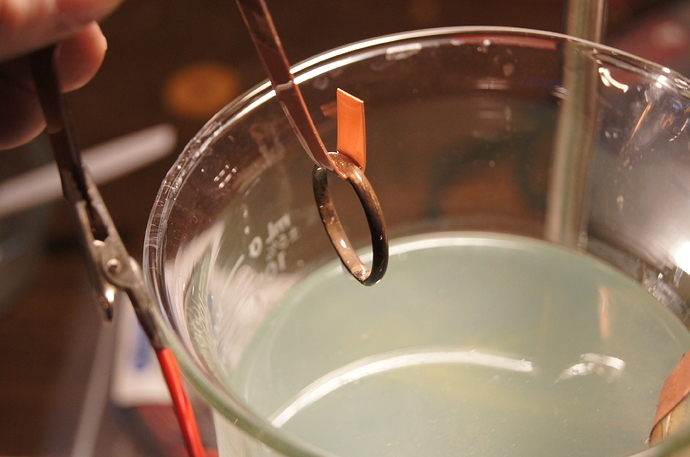 Use copper or wooden tongs. 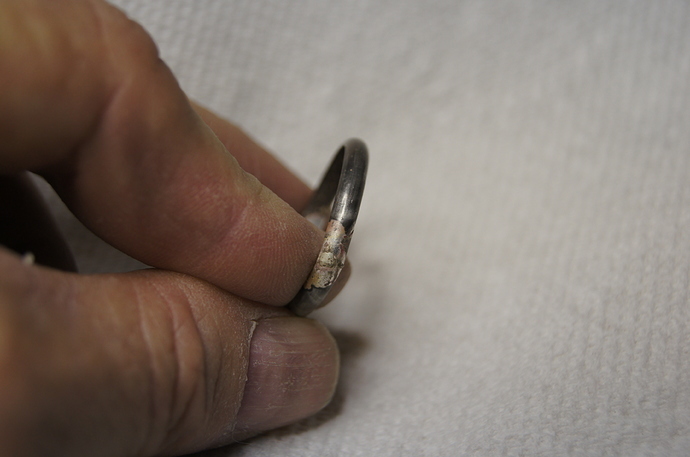 Hello, I’m not an expert in jewelry making but here is some information I have experimented with that seems to work on fire scale on sterling silver. This is some of the stuff I think we are talking about. I make a salt water solution 4 parts water and one part salt. 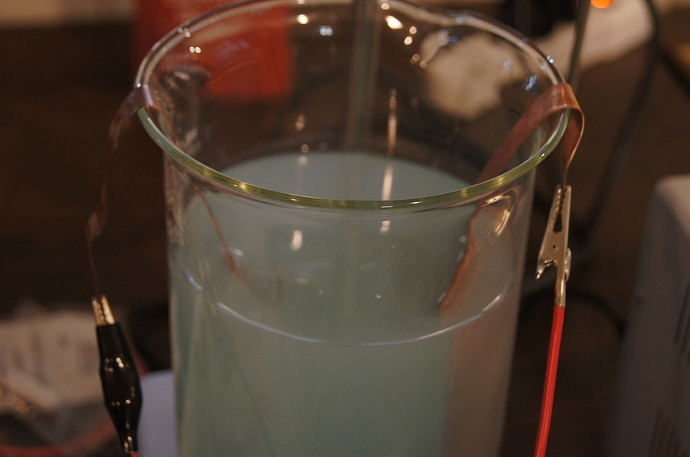 I put a copper conductor on one side of my beaker and a copper conductor on the other side. 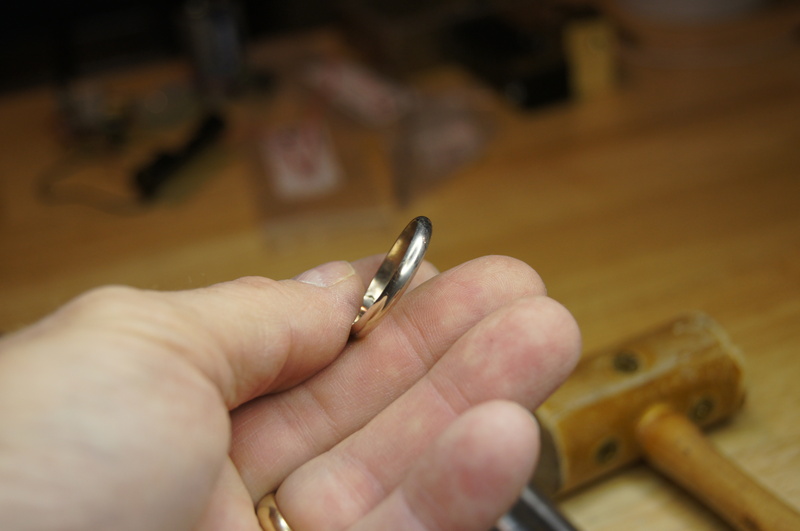 The negative side(left side) is on your part side(Ring) with a hook on it to hang your part or ring.Not sure if the part side needs to be copper but it works. The positive side is on the right side with just a copper piece of metal. If you reverse your connectors you put more firescale on your part. You can use a 1.5 volt battery but it takes longer. 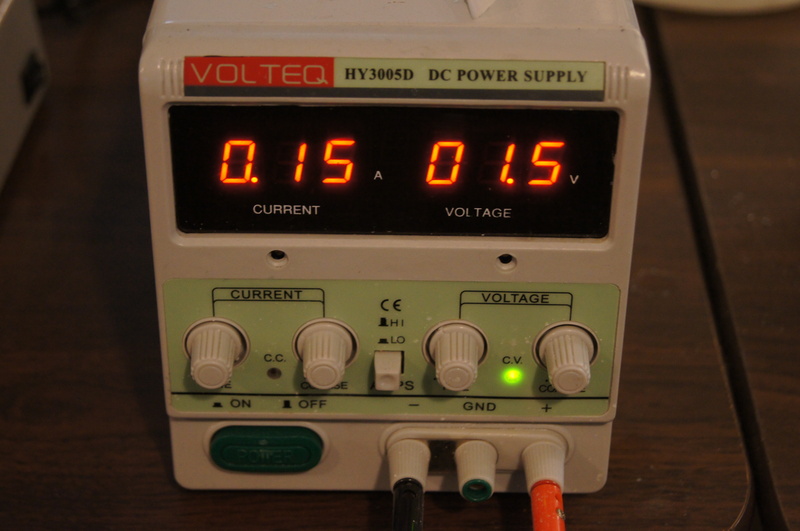 I used an adjustable rectifier an apllied 3 volts. It takes about 1 1/2 minutes. 1.5 volts applied will take longer. I did not use any preventitive measure like boric acid or and alcohol or cuprinoll prior to soldering. I did not pickel it after my soldering . I did try to polish it with a yellow Rio cloth which just shined up the fire scale. 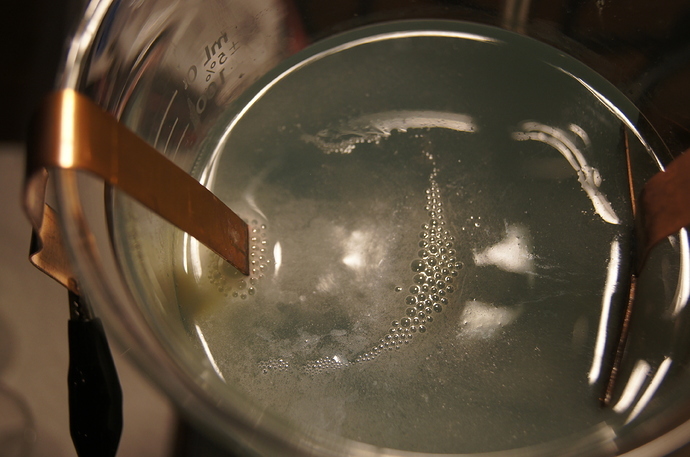 So I let it fizzle in my salt water bath at 3 volts for 1.5 minutes. When I pull it up it looks like this. When I wipe it off with with just a paper towel, it looks like this. When I buff it up with Rio’s yellow cloth it looks like this. Didn’t have to use any sand paper. I put it to a buffing wheel. I put it back into my salt water bath with the terminals reversed after I had polished up and it puts the fire scale back on it. I believe it is safer(?) to quench in water, then put item in pickle. so that you don’t get splattered with pickle.